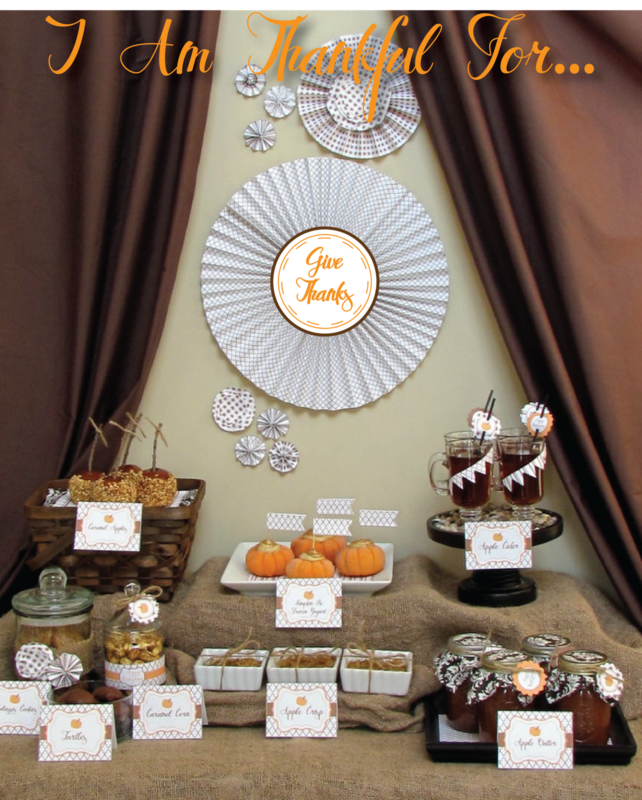 My next party feature goes to this beautiful "I AM THANKFUL FOR" THANKSGIVING DESSERT TABLE submitted by Paula Morrill of Party Like Paula. 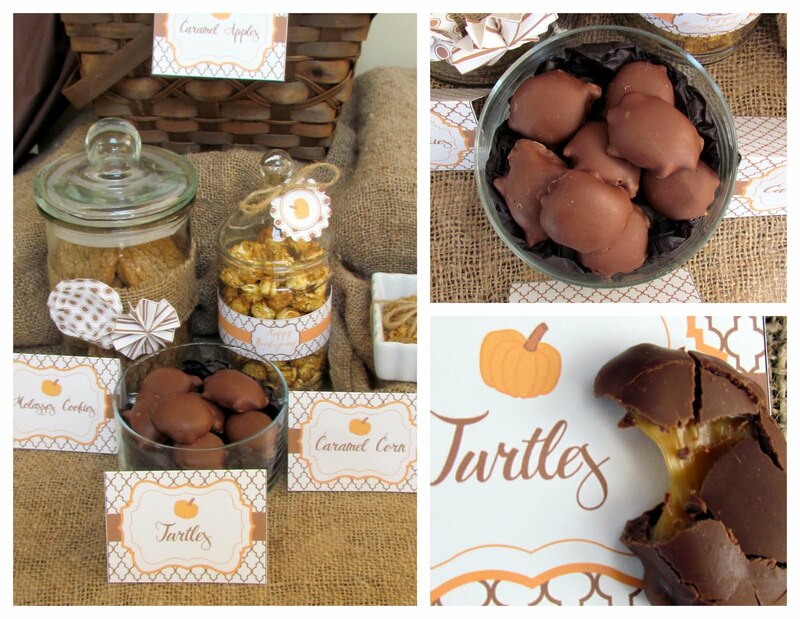 Such a lovely dessert bar! I love the brown & white with a touch of orange. The patterns are all so fun, too! 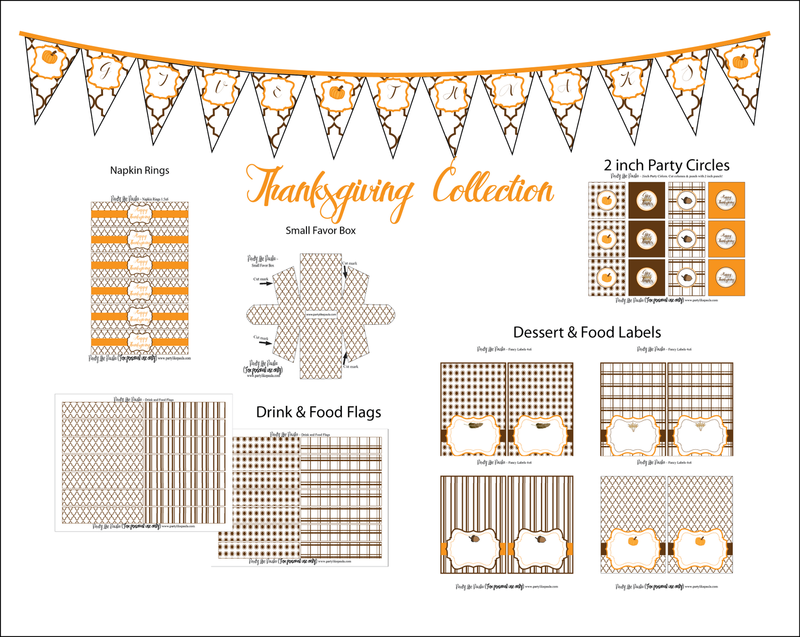 This whole printable Thanksgiving collection can be purchased FOR ONLY $6 in Paula's shop here! Even though Thanksgiving is just a few days away there is still time to purchase this collection. All you do is print & cut..and you have it all! 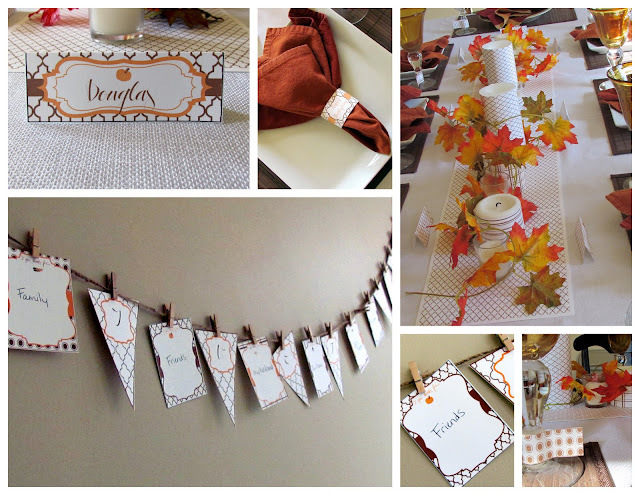 A simple way to spice up your Thanksgiving! 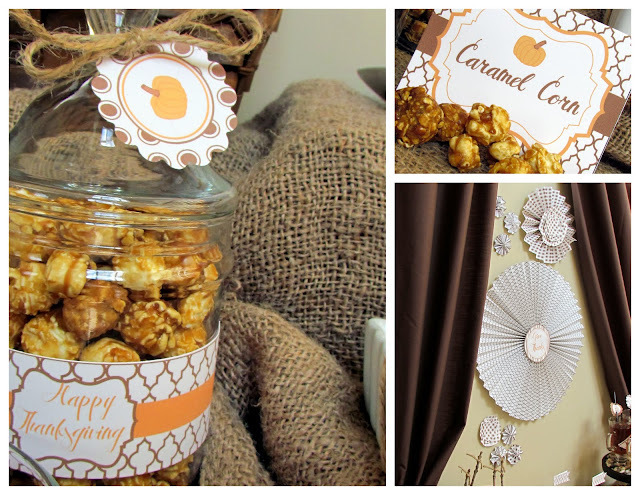 Here is what Paula said about the dessert table- "I handmade everything myself from the sweet treats to the decadent decor! I even made the brown curtains out of a $15 bed sheet from WalMart. Cut down the middle, hem the sides, and VIOLA instant chic drapes! Caramel Apples are a staple for this time of year. 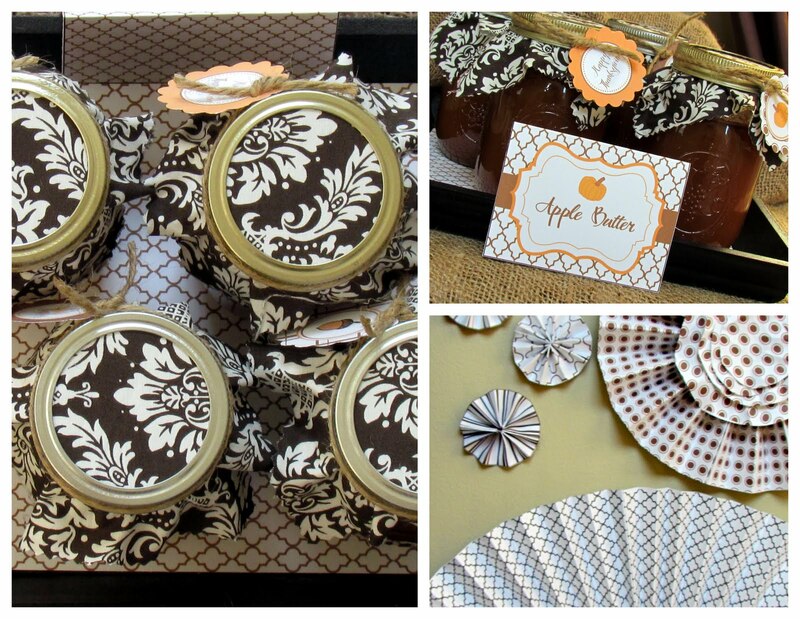 I filled a basket with these yummy treats on top of some patterned paper from the new THANKSGIVING COLLECTION. 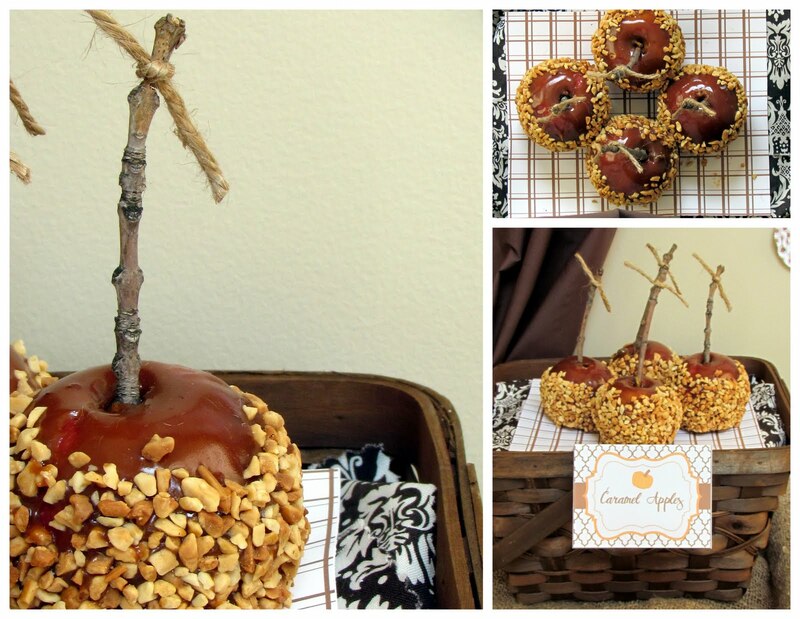 Sticks take the place of popsicle sticks and a small accent of tied twine on top. How about some caramel corn? 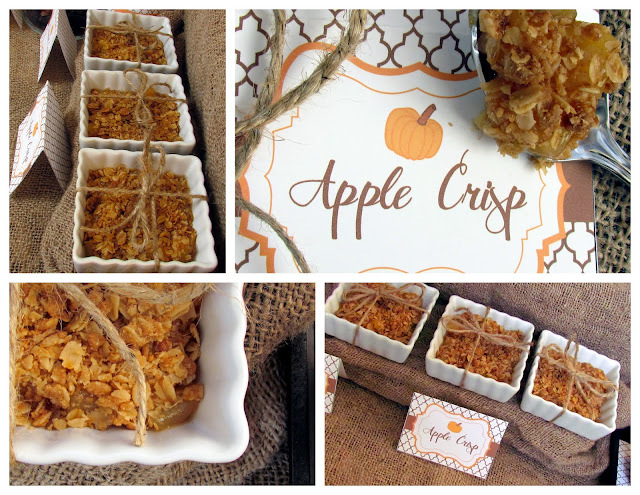 Sweet, sticky, crunchy and oh so easy to make. A sweet drink is always a nice choice for a dessert table. 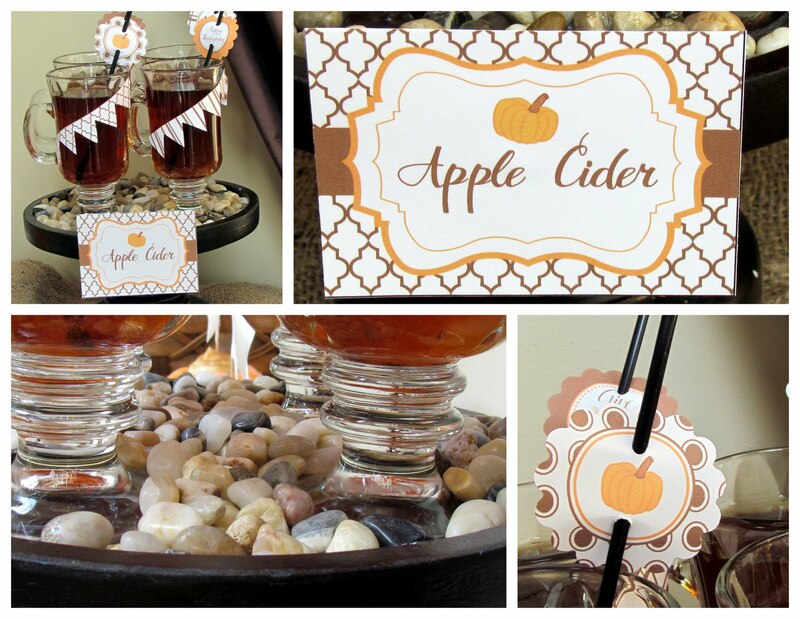 Apple cider is not only yummy in your tummy, but makes your house smell super UHmazing while you are making it! 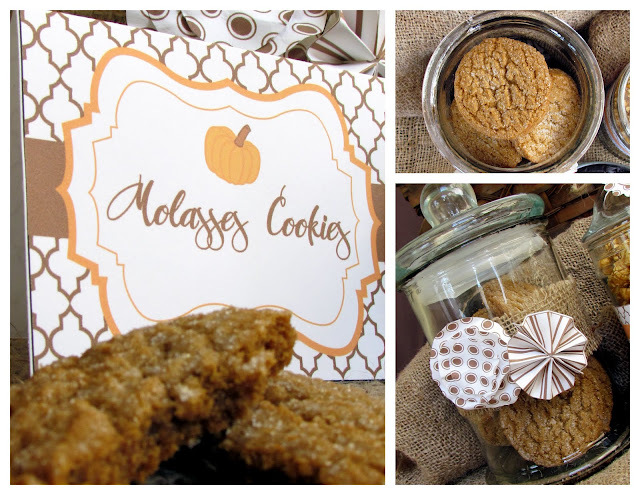 Molasses cookies are soft and flavorful. Right out of the oven with some cider screams THANKSGIVING! If you are watching your waistline this season then you have to try Pumpkin Pie Frozen Yogurt. 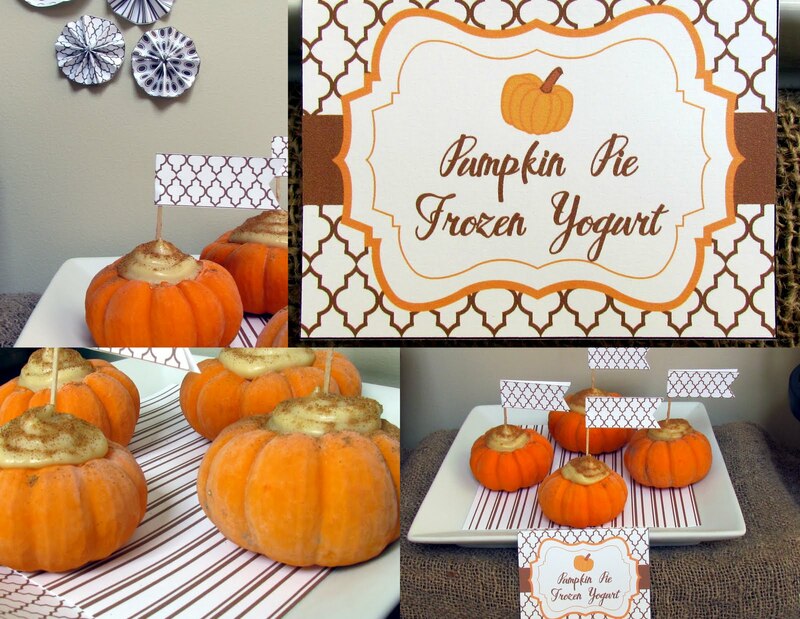 Served in hollowed out mini pumpkins with a dessert flag makes you feel like you are eating something more decadent than you are! Purchase the Thanksgiving Collection through my shop here." 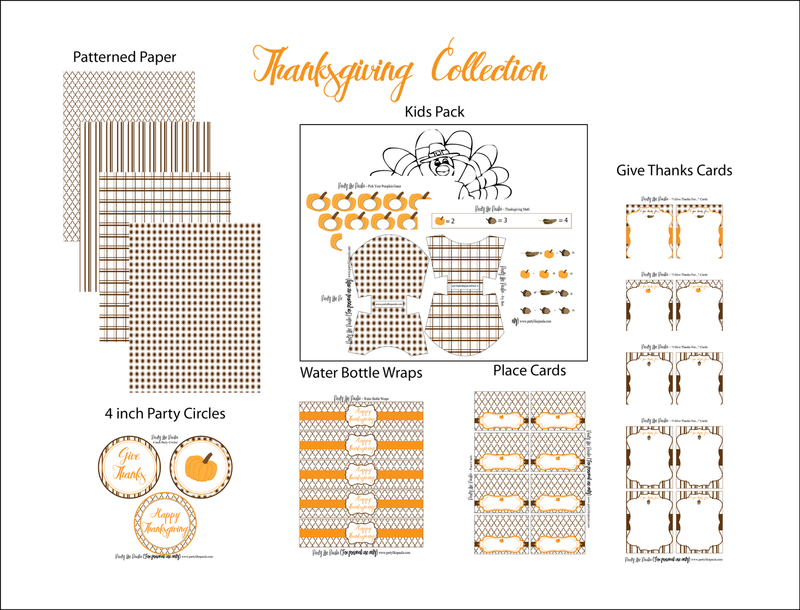 Again, you can spruce up your Thanksgiving in minutes by purchasing this $6 collection! 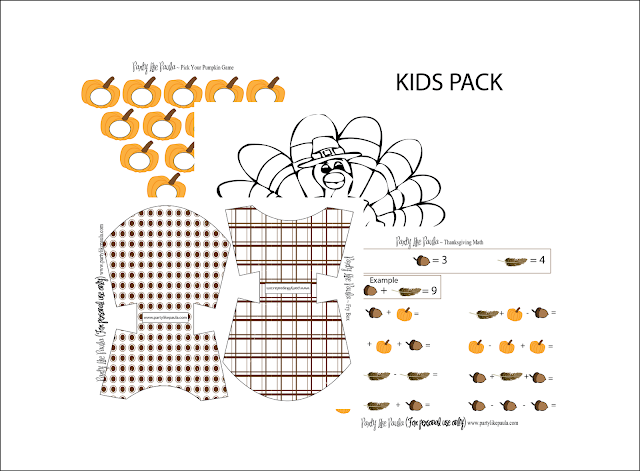 There's even a kids package! Find the shop here. The pictures are beautiful. Thank you for sharing this with us.